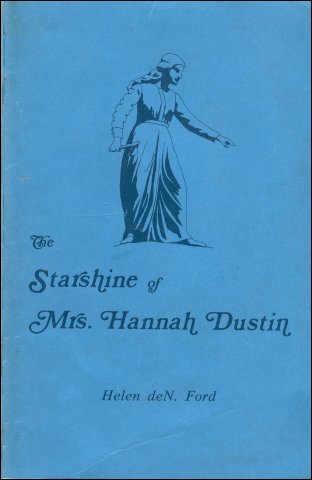 The Starshine of Mrs. Hannah Dustin by Helen deN. Ford, 1976. "The path of the just is as the shining light that shineth more and more unto the perfect day," Prov. 4:18. Helen Ford's book is a mosaic on Hannah Duston and the Indian raid on Haverhill, Massachusetts, March 1697.